FILE- In this Aug. 3, 2017, file photo, Myrtice Harris applies tape to a package before shipment at an Amazon fulfillment center in Baltimore. Amazon's Prime Day starts July 16, 2018, and will be six hours longer than last year's and will launch new products. Amazon Prime Day kicked off Monday afternoon, allowing Prime members to take advantage of exclusive deals for 36 hours. But the e-commerce giant's invented holiday wasn't all smooth sailing. The day-and-a-half-long promotion from Amazon.com faced competing Christmas-like deals from such stores as Philadelphia-based Urban Outfitters, Boscov's, and Destination Maternity, which are having summer sales. Amazon also experienced website glitches and had workers in Europe striking because of what they call unfair working conditions. Employees listed longer hours, the slashing of bonuses, and insufficient safeguards from diseases in a statement posted by Spain's communist party. Reuters reported that workers in Germany and Poland will also boycott. "The message is clear — while the online giant gets rich, it is saving money on the health of its workers," Stefanie Nutzenberger, an official with the Verdi services union calling for a strike in Germany, told Reuters. 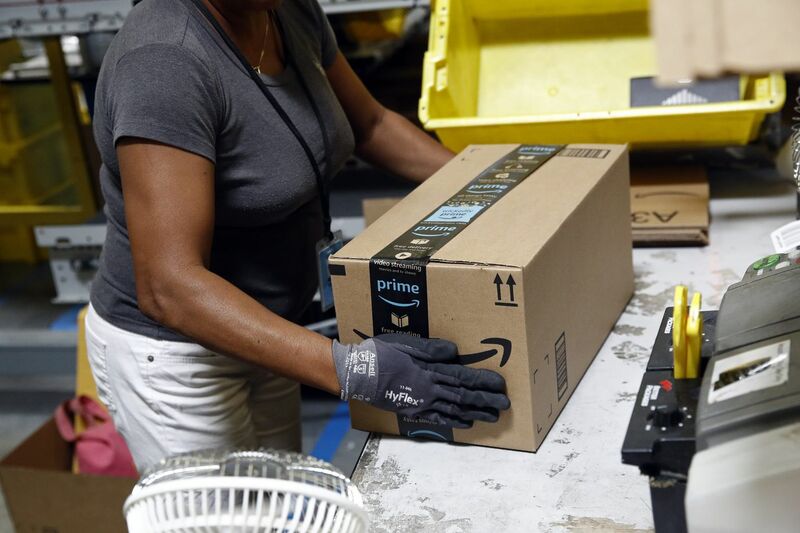 When Prime Day kicked off at 3 p.m., excited customers were greeted by a stuck home page screen or pictures of a dog, instead of the Prime Day sale. Amazon promoted its sale by featuring selected deals, such as saving $20 on a Fire TV Stick with Alexa Voice Remote, up to 50 percent on men's and women's shoes from such brands as Adidas, New Balance, and Puma, and up to 30 percent off 3-D printers. While trying to search through the more than one million deals, according to the company, the website stalled, causing consumers to complain on Twitter. Customers who aren't interested in signing up for the $119 annual Prime membership, or who are frustrated with the site's initial technical problems, can check out other retailers. EBay announced that it will be offering a sale this week, saying there is "no membership required … ever," in a not-so-subtle dig at Amazon. Items will be up to 80 percent off the regular price, the company said in a news release. "Summer is a time to enjoy the things you love — as the temperatures heat up, so do our deals," eBay's Scott Cutler, senior vice president, Americas, said in a news release. "EBay has everything you need this season, and no one else can match eBay's variety and value, which fuel our shoppers' passions with deep discounts on the latest must-have items." Target's sale also takes a swing at Amazon's Prime Day, making a point to say the sale is for "everybody — no membership required." The sale will begin Tuesday and include offers such as 30 percent off Target-exclusive home brands, up to 30 percent off Google products, such as Google Home and Chromecast, and 25 percent off beauty and personal care. The full list of offerings can be found on the company's website. Urban Outfitters' website includes a banner promoting a "flash sale" of an extra 50 percent off sale items for UO Rewards members and 40 percent off all sale items for nonmembers. Many retailers at the King of Prussia Mall are offering summer sales this month and a full list can be found on its website. Boscov's is having its midsummer clearance sale with items 50 percent to 80 percent off including, clothing, swimsuits, and accessories. Destination Maternity is offering a deal of up to 50 percent off "almost everything." It ends Tuesday. Lowe's is offering 10 percent off sitewide for MyLowe's Members Monday and Tuesday, coinciding with Amazon Prime Day's hours. Customers can get a free Google Home mini after spending $150 or more, while supplies last. Walmart is having its "Ultimate Summer Savings" sale, with deals on Google products, TVs, toys and games, home furniture, and more. The full sale can be found on the company's website.